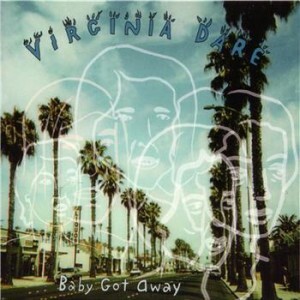 If you like Liz Phair, you’ll probably enjoy Virginia Dare’s Baby Got Away. This trio of San Francisco fringe-music scenesters tackle similar day-to-day matters but lack Phair’s passion and gusto. Shades of a sloppy Keith Richards can be found in Brad Johnson’s uninspired guitar. The singer/autoharpist Mary O’Neill’s voice strikes me as unremarkably flat, and her lyrics don’t make up for it. And a missing drummer robs Virginia Dare of its potential. 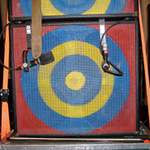 Production quality is top notch, though, because of the bassist Greg Freeman’s day job as one of the Bay Area’s premier sound engineers. Almost every song is resoundingly depressing without a trace of irony. This baby did get away. Better luck next time. Originally published in the Orlando Weekly on March 11, 1999.